The 1904 St. Louis World’s Fair was a major event in early-twentieth-century America. Attracting millions of tourists, it exemplified the Victorian predilection for public spectacle. 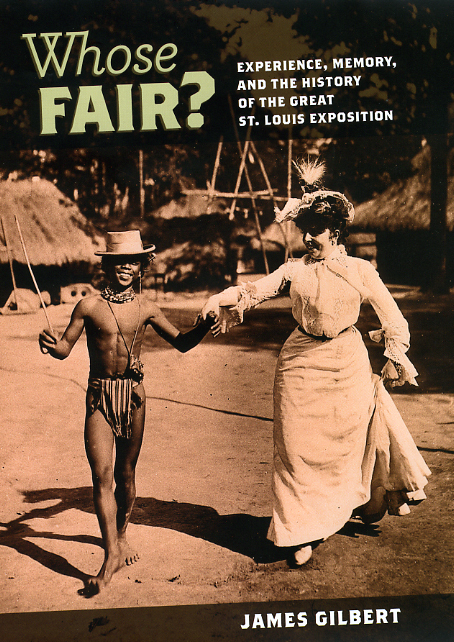 The Fair has long served as a touchstone for historians interested in American culture prior to World War I and has endured in the memories of generations of St. Louis residents and visitors. In Whose Fair? James Gilbert asks: what can we learn about the lived experience of fairgoers when we compare historical accounts, individual and collective memories, and artifacts from the event? Exploring these differing, at times competing, versions of history and memory prompts Gilbert to dig through a rich trove of archival material. He examines the papers of David Francis, the Fair’s president and subsequent chief archivist; guidebooks and other official publications; the 1944 film Meet Me in St. Louis; diaries, oral histories, and other personal accounts; and a collection of striking photographs. From this dazzling array of sources, Gilbert paints a lively picture of how fairgoers spent their time, while also probing the ways history and memory can complement each other.